This is a super simple quilt to make. 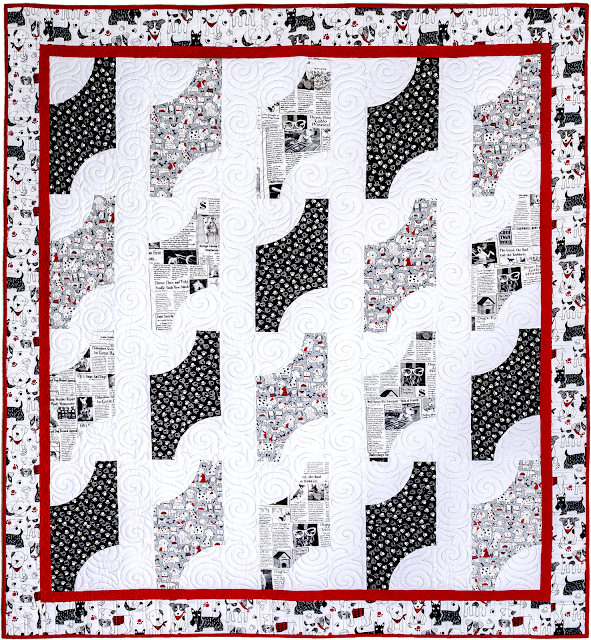 It is made using Accuquilts amazing Qube dies for the Go! Cutter. 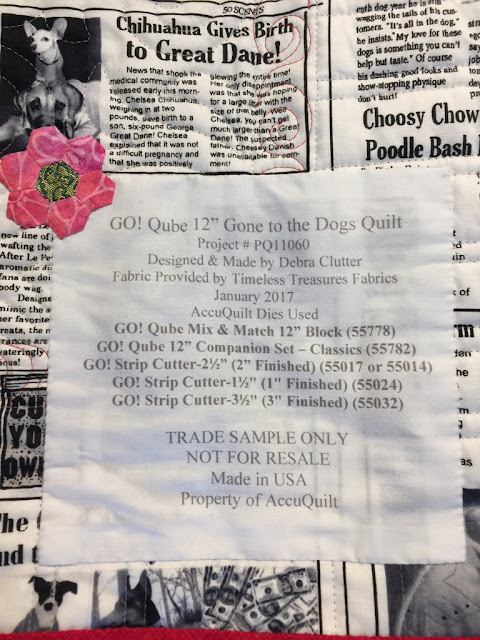 This quilt uses the GO! Qube Mix & Match 12" Block and the GO! Qube 12" Companion Set-Classics. You will need the rectangle die from the first one and the Drunkard's path from the Companion set. This is the first time I used the Qube. I like the way the dies are organized in the storage cube that it comes in. This makes it easy to store. I own the Go! electric cutter and a bunch of other dies. I find the strip dies the most useful for cutting borders and binding. I know what you are thinking! The Drunkard's path is curved piecing... yuck! Really it isn't that bad. What I did to make it easier is to use a washable glue stick. I glued all the Drunkard's path blocks together before I started sewing. This made it a snap to finish the quilt quickly. I actually sewed the top in one day! I wished I would of taken the time to snap some pictures of the piecing process. 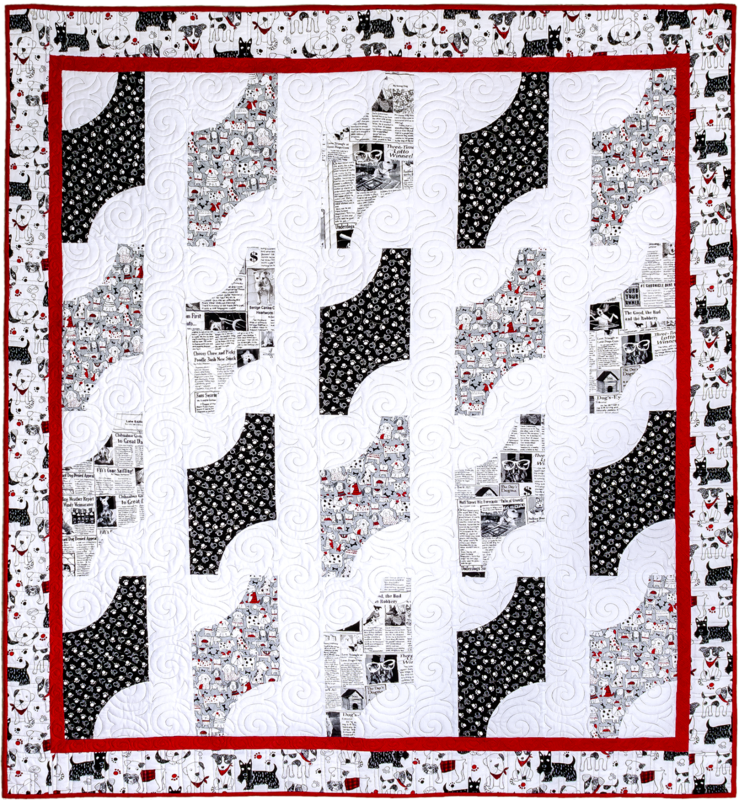 If you are thinking about making this quilt you can easily add some blocks to make it bigger. 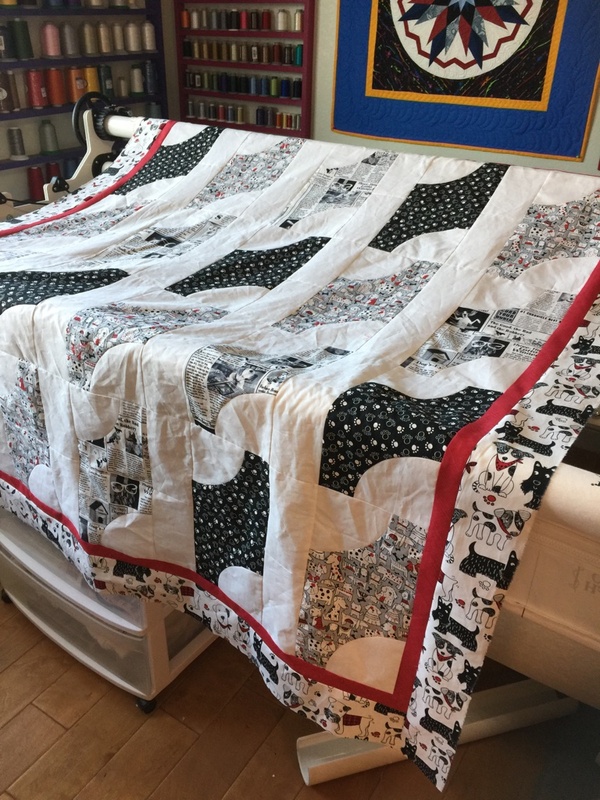 The fabric in the quilt is from Timeless Treasures. I love the dog print fabrics they have. This is the second quilt I have made using their Dog print fabric. 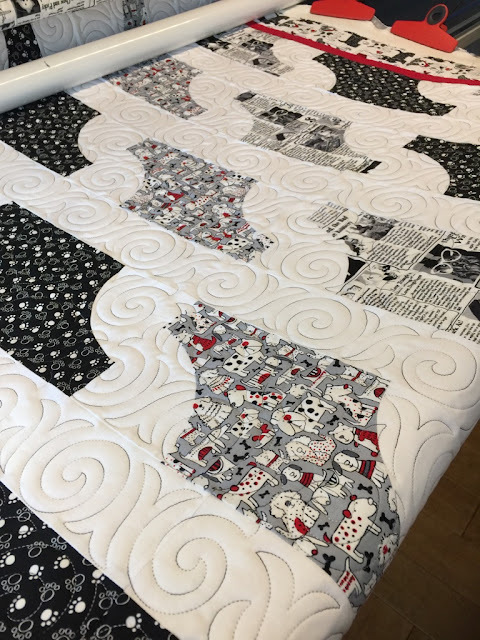 The quilting was done on my longarm using a computerized pattern. I would of loved to custom quilt this quilt but the deadline didn't permit it. I still think it turned out fantastic! This pattern would look equally beautiful in another choice of fabric for example: Marcus Fabric's Intrigue by Nancy Rink! Ok I choose her fabric because she lives in my home town! 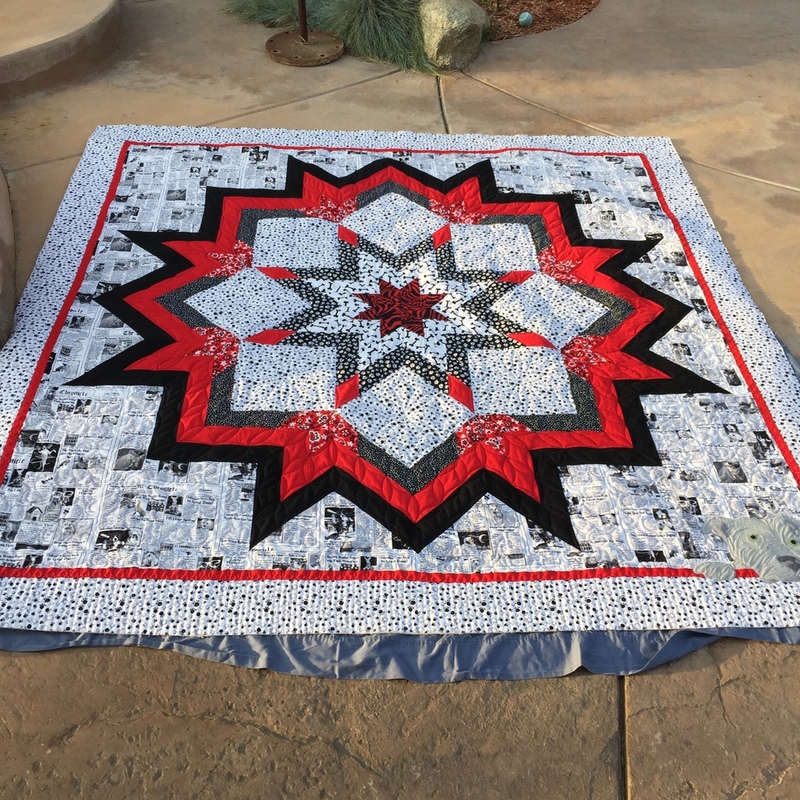 Here is a picture of the lonestar quilt I did with the same fabric. By the way I also used the GO! Sparkle-Diamonds by Sarah Vedeler dies to cut all the diamonds for this quilt. I know I could of strip cut it but this worked for me. 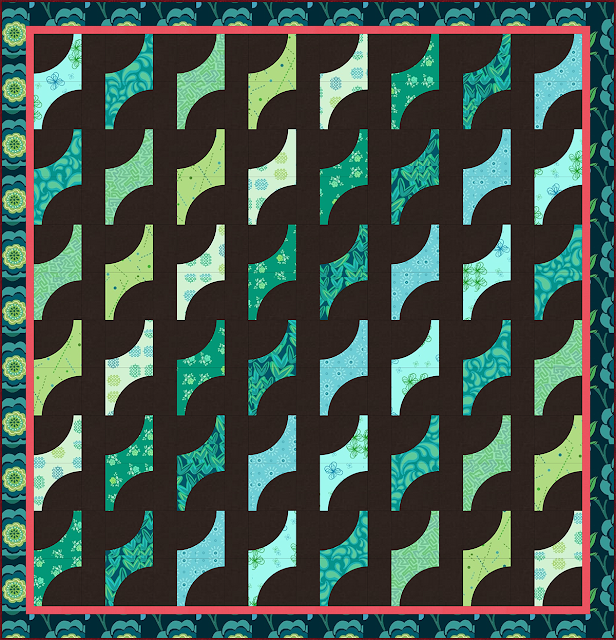 I have more patterns I am developing for Accuquilt so more to come!